Regular readers of the Trading Gurus blog will be aware that we have been pondering the possible effects of additional regulation on markets on both sides of the Atlantic for some considerable time now. In this guest post Alex Krishtop of Edgesense Solutions speculates about what the future holds for the world's financial markets. 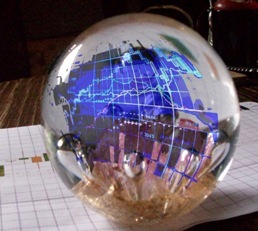 In our view Alex's crystal ball is much clearer than those of the vast majority of market commentators. More on Will New Regulations "Stabilise" the Financial Markets?